A volleyball blocking strategy consists of basic tactics that form the mindset of a blocker. Before you can learn to block, you first need to understand what a good block is. 1)	Altering the hitters intentions. Most good hitters have a favorite way to hit the ball. A good block will force the hitter to make an adjustment by pushing them away from what they like to do. Once a hitter is forced to do something they are uncomfortable with, this is when they will make errors and lose confidence. 2)	Doesn’t give a point to the opponent. A good blocker must be disciplined at the net and not make a mistake by touching the net or getting tooled (ball deflecting off the hands, landing out of bounds). You want to avoid giving the opponent easy points. 3)	Filtering the ball to the defenders. To be a great blocker, you need to understand you don’t want to always touch or block the ball. Most of the time the blocker should work to channel the ball to the defense. This is why it’s important for both the block and the defense to be on the same page. The blocker at the net needs to know what area to take away. The defender behind the block needs to know what part of the court they are responsible to cover. The blockers at the net and players playing defense work together as a team to make a successful defensive play. 4)	Directing the ball back into the opponents court. The blocker should always focus on blocking the ball back into the court. This is where learning correct blocking technique is so important. And you aren’t always focused on blocking the ball for a point. Your goal with blocking is to accomplish one of these... 1) Stuff block, 2) Block the ball into the court, 3) Deflect the ball to a teammate, 4) Filter the ball to a teammate/defender. I created videos explaining my best drills for learning tactics for blocking and attacking at the net. Watch a preview or purchase the drills here. A short blocker needs to be skilled at deflecting the ball to teammates and steering the attack toward the defense. Most teams like to attack a smaller blocker, but this can play right into the hands of a good blocker who knows how to slow the ball down by deflecting to teammates (soft block). Blockers need to know they can use a good volleyball blocking strategy even if they never stuff block the ball. They need to understand that they can help their team by taking up space above the net, deflecting the ball to a teammate, or channeling the ball to a defender. 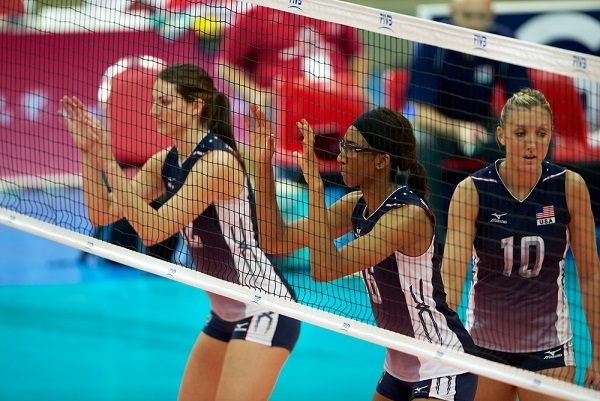 As your team is serving or attacking, there will be a specific sequence a blocker should prepare for. There are situations the block should anticipate. The blocker needs to be ready for the opponent to shank the ball over the net. The blocker should be watching the passer as they pass the ball and read where the ball is going to go. If the ball is coming tight to the net, the blocker needs to prepare to hit or block the ball. The blocker should identify where the setter is before the ball is served. 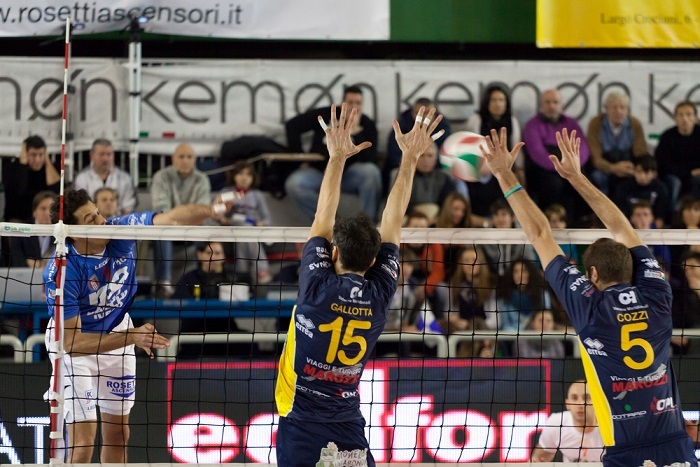 If the setter is on the front row, then the setter could attack on the second hit. Also, know the tendency of this particular setter. If you know the setter likes to dump the ball, then be prepared for the on 2 attack. If the setter is on the backrow, then you know they aren’t going to jump and attack the ball, but you may still need to be ready for the attack from on the ground. So it’s important to always be watching reading the setter and anticipating what they are going to do with the ball. A good volleyball blocking strategy is identifying the front row attackers before the ball is served. Knowing who and where the attackers are will help you anticipate where the ball is set. Also know the tendencies of the attackers. So you can see there is a lot of information to gather before the ball is even served. Use this information to help anticipate what the opponent is going to do, and you will likely get in good position for blocking and defending.